The wait is over. Android 9.0, also known as “Pie,” is available on select Android devices. 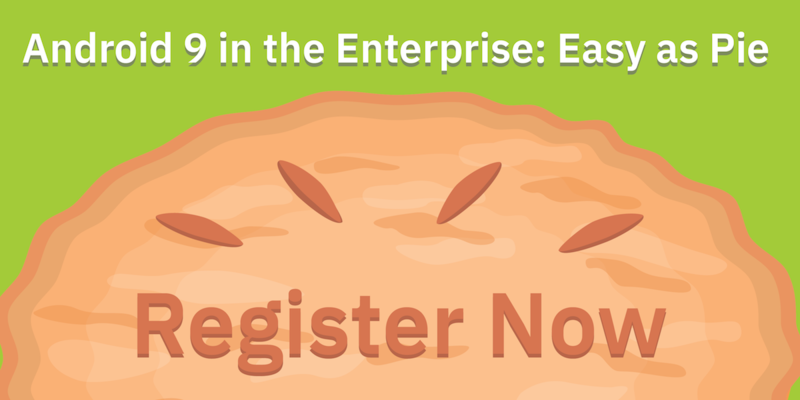 Join us on Sept. 6 at 11 a.m. EST — grab a slice of Android 9 Pie and learn how the latest features and functionality can improve your unified endpoint management (UEM) experience with IBM MaaS360 with Watson. You’ll also discover how to adopt Android in an enterprise setting, with an overview of work functionality and zero-touch enrollment best practices. Come with a healthy appetite, and we’ll give you a slice of Android 9 knowledge!